Need to sell your house fast in Grand Prairie, TX? We buy houses in less than 30 days as-is, no repairs needed. We want to help sell your house fast in Grand Prairie – get a cash offer in 24hrs! Owning a home is hard, and selling one through the traditional process of real estate can be harder. We’re here to help you if you need to sell your property but don’t fit into the mold of a typical seller. Need to sell your house fast in Grand Prairie? Give us a call and let us know how we can help make it happen. Let us introduce ourselves: we’re Home Sold Speedy, a locally-owned real estate investment company that pays cash for homes here in TX. If you need to sell your house fast in Grand Prairie, TX, we can help. We buy houses in Grand Prairie, TX for cash in less than a month (usually) and take care of all the paperwork for you. We get that, although many people find that they can work with a realtor to sell their house, the process isn’t a great fit for everyone. Our clients are people who – for one reason or another – have found themselves needing to sell their property quickly and without a lot of cost and complications. Now, that also means that all our clients come with a unique story. Whether they own an inherited property they don’t want or need, their rental tenants have turned out to be less than ideal, or they simply want to pursue a new job somewhere else, the last thing they should be dealing with is a long, hard process to get their house sold. We love working with people’s unique needs to craft a solution that works. We understand our clients as people, not data points or profits. With our team, you’ll never be made to feel like just one more client talking to a robot. We do this because we want to help people live the lifestyle they want, without the burden of an unwanted home. Todd Hyden, our fearless leader, founded Home Sold Speedy because he has a passion for helping people get what they need. He holds a degree from Texas A&M in Civil Engineering, and a license for Professional Engineering in the state of Texas. Prior to starting this company, Todd had a very successful career as an engineer. His greatest accomplishment, however, is still his beautiful family. You pick your closing date, and when you want your payment. You pick the move out date – even if it’s after the closing date. You never pay any closing costs, or deal with doing repairs. If you have any other questions about how we work, our process, or just want more details… don’t hesitate to contact us anytime! We’re local cash home buyers that you can count on. There are a lot of companies who buy homes quickly in Grand Prairie. If you don’t like your current options for selling, call us and find out why we’re the right fit for you. Needing to sell a property but knowing that traditional real estate won’t serve your needs is tough. If that sounds like you, cash home buyers is the best route. We don’t have a mold for you to fit in. Our clients love working with us because we prioritize their timeline. We won’t impose our schedule on you. When you work with us, you’ll get an offer within a day, and the opportunity to close within a month. If you find yourself needing to make a fast move, there’s probably a very important reason. Maybe there are loved ones you want to be near or a dream job you need to pursue. Maybe you simply want to avoid foreclosure. Whatever your reasons, they should take precedence over the unnecessary red tape that comes from working with a realtor. Our company, on the other hand, works with our own funds. We pay cash because it keeps us flexible, which just that we don’t have to wait on a bank to close. We can close on your timeline, at any time. 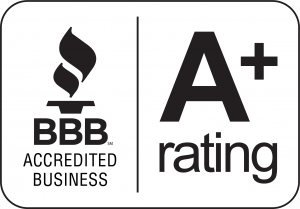 Because we are locally-owned and family-oriented, we are well-beloved of our clients, and would love to provide testimonials to earn your trust. We only do fair, “win-win” deals that work out in everyone’s best interests, and we stick to our word. What we offer is what we pay, and we never rush or bully our clients. We’re ready to buy your home for cash in Grand Prairie. If you’re looking for someone to buy your house fast, then contact us today! Just fill out the form below to get started, or call us directly to ask any questions you might have! We’d love to hear from you and help you any way we can, even if we’re not a good fit for you. Our process is as simple as can be- just give us a call, get an offer, and tell us how best to help you sell your home quickly and easily. We want to hear your story and figure out the best way to get your house sold so you can move forward. Generally the process can be broken down in 3 steps: first, we’ll hear from you and come out to meet you and see your home. Second, if you’re a good fit we’ll make a cash offer and you can take all the time you need to think things over. Third (and last), if you’re happy with, we’ll work to close quick and buy your home on your timeline. We buy houses anywhere in Grand Prairie, so if you’re looking for honest cash home buyers in Grand Prairie who can help you sell your home as fast as possible, we’d love to talk with you! We offer the ability to sell your home without the stress of closing costs, repairs and remodels, or waiting a million years to close. So if that sounds like what you need in your situation, we’re your next call. Besides Grand Prairie, we buy cash homes in these cities across TX.